Three–and possibly four–of the Republicans running for the Georgia House of Representatives in the Special Elections on Nov. 7 are to be guest speakers at the Oconee County Republican Party meeting on Sept. 28, Party Chair Tammy Gilland announced on Thursday evening. Houston Gaines, running in the 117th House District race, and Tom Lord and Marcus Wiedower, running in the 119th House District race, have confirmed they will attend, Gilland said in an email message she sent out late last evening. Steven Strickland also has been invited, Gilland said, and is trying to change his schedule so he can attend the meeting, to be held at the Oconee County Chamber of Commerce Office in Watkinsville. The Oconee County Democratic Committee is holding a Meet and Greet for 3 p.m. Sept. 24 at the Watkinsville Library for candidates for the Watkinsville City elections, which are nonpartisan. Confirmed attendees include the candidates for mayor and two council seats. The newly formed Oconee County Area Republicans is holding a meeting featuring House 119 candidate Tom Lord at 6:30 p.m. on Sept. 30 at the Community Center in Veterans Park on Hog Mountain Road. A candidate forum for all six candidates in the two House races will be held from 6 to 9 p.m. on Oct. 9, also at the Community Center in Veterans Park. Turnout in the Nov. 7 special elections is likely to be low, and all of these events are intended to generate voter interest. In addition to the four Republican Candidates who have qualified, Deborah Gonzalez has qualified as a Democrat in the 117th House District race and Jonathan Wallace has qualified as a Democrat in the 119th House District race. It is likely that only somewhere between 2,226 and 3,847 of the 25,158 registered voters in Oconee County will participate in the Nov. 7 elections. The high figure--3,847--is the number of voters who participated in the Dec. 6, 2016, runoff election for Oconee County Board of Commissioners Post 2. The low figure–2,226–is the number of Oconee County voters who voted in all four of the county’s elections last year. These 2,226 voters, whom I identified through an analysis of voter records for last year, might be thought of as voters who go to the polls regardless of the election. The two figures are only rough estimates–even guesses–based on what happened last year, and no two elections are the same. Having two special elections for two open House of Representatives seats in the same county certainly is not routine. The outcome of the 119th House District race is likely to be decided in a runoff, given the number of candidates. And that runoff will take place on Dec. 5, when turnout might be even lower. 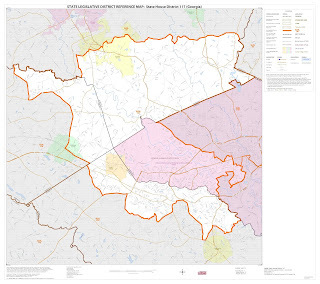 Neither race will be determined by voters only in Oconee County. Athens-Clarke County contributes more than half of the voters in the 117th House District and in the 119th House District. 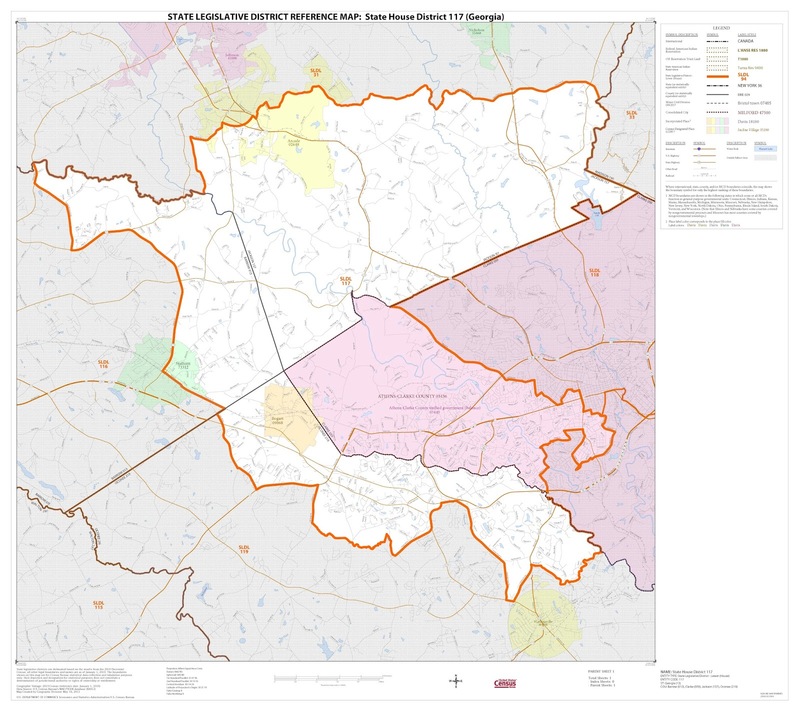 Only three of Oconee County’s 13 precincts–Athens Academy, Malcom Bridge and Bogart–are in the 117th district. The remaining 10 precincts are in the 119th. Turnout in Athens-Clarke County might well be higher on Nov. 7 than in Oconee County. Voters in Athens-Clarke County also will be deciding on a Transportation Special Purpose Local Option Sales Tax, and that could bring voters to the polls. Only voters in Watkinsville in Oconee County will have anything on the ballot other than the Special Election for the House seats. Voters in Statham, part of which is in the 117th, also have a city election on the ballot on Nov. 7, but the other Barrow County voters in the 117th have no other election on the ballot. The southern part of Jackson County also is in the 117th, but none of the voters in the 117th in Jackson County has any issue on the ballot other than the special House election. Based on registration figures from Sept. 1 of this year, Barrow County contributed 9.2 percent of the voters to the 117th, southern Jackson County contributed 11.3 percent, Oconee County contributed 23.2 percent, and Clarke County contributed the remaining 56.3 percent. Oconee County made up 49.8 percent of the registered voters in the 119th on Sept. 1, with Clarke county contributing the remaining 50.2 percent. Voter registration is dynamic, however, and voters have until Oct. 10 to register to vote for the Nov. 7 elections. Early voting starts on Oct. 16. A candidate must get more than 50 percent of the vote to win the Special Elections, which are being held without a primary. Candidates simply listed the party label they wanted to be used with their names. The Meet and Greet for Watkinsville candidates hosted by the Oconee County Democratic Committee on this coming Sunday will include Dave Shearon, running uncontested for mayor, Brian Brodrick, running uncontested for Council Post 1, and Post 2 candidates Jennifer Gude, Wade LaFontaine, and Connie Massey. Southern sweets and sweet tea will be served as part of the event at the Watkinsville Library, 1080 Experiment Station Road in Watkinsville. The presentations by the Republican candidates before the Oconee County Republican Party is part of the regular meeting of that group, which will start at 6:30 p.m. on the 28th. The Chamber of Commerce office is at 55 Nancy Drive in Watkinsville. Sarah Bell, Russ Page and I are organizing the Oct. 9 forum for candidates from both parties at the Community Center in Veterans Park, 3500 Hog Mountain Road. The forum will run from 6 to 9 p.m.
All of the candidates except Gaines have confirmed they will participate, and Gaines has said he is trying to arrange his schedule to be present or to send a representative. The event will be open to the public, and citizens will ask their questions directly of the candidates. We will video record the session and make the video available on the Vimeo Site of Oconee County Observations. Flagpole reports that the leading candidate is Houston Gaines, a recent UGA grad who ran Clarke County Mayor Denson's campaign. He has raised more than $100,000. I look forward to meeting the attendees tomorrow night. I look forward to speaking and meeting with the attendees tomorrow night.